Of all the peoples in the British Isles, the Picts have left little to mark their passing as an entity. 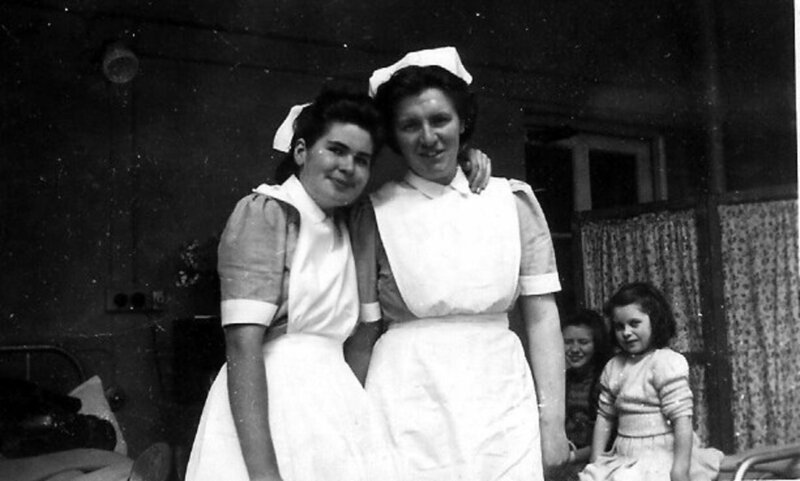 Those who survived the 'regime change' in their part of Britain, to assimilate with the by then more dominant Scots, blended in so well that we would never know them from other inhabitants of 'Scotland' and the Scottish Isles. The public's imagination was drawn to an exotic and mysterious culture, of reputed sun worship, naked blue-painted warriors who hurled themselves at Roman legionaries. 'Death or Glory' might have been their watchword. It certainly seemed that way and frightened Roman newcomers. Anyone who has seen the feature film, "The Eagle" would have been impressed by the Picts' dogged pursuit of the Roman and his 'slave/master' on horseback. The wildness of the fight alongside Roman survivors of an earlier catastrophic defeat against the Picts left me thinking of Viking warriors - another culture based on death worship, although not in the same manner. The Norsemen did not sever the heads of their defeated enemy and display them near the entrances to their lodges. This was a purely Celt thing as I've shown earlier in this series. This is a whole page dedicated to a single people who made their mark... and vanished from history leaving little to mark their passage into the mists of time. 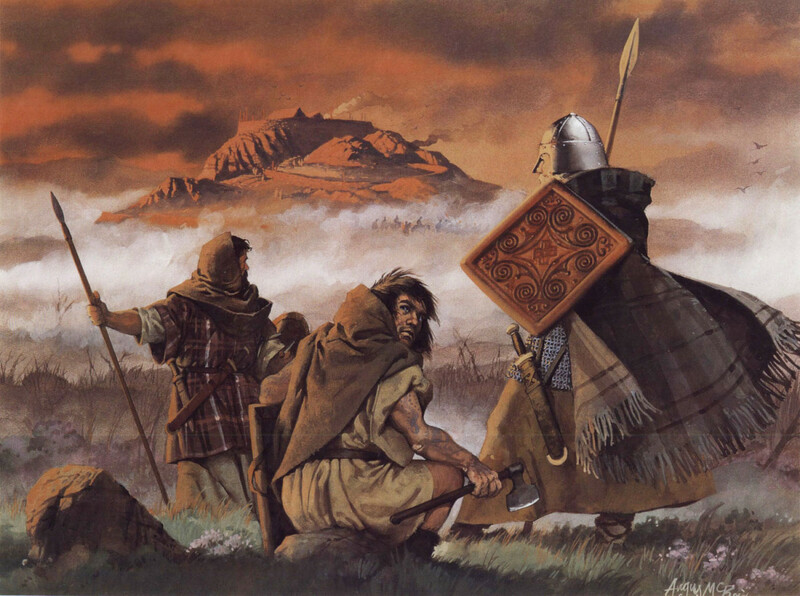 The Picts showed out of the mists of time to dominate Alba in northern Britannia for more than half a millennium. They then merged into legend. Those few artefacts they left - along with their strange alphabet - are as enigmatic as they were. They have a place in Britain's history for a more prosaic reason. 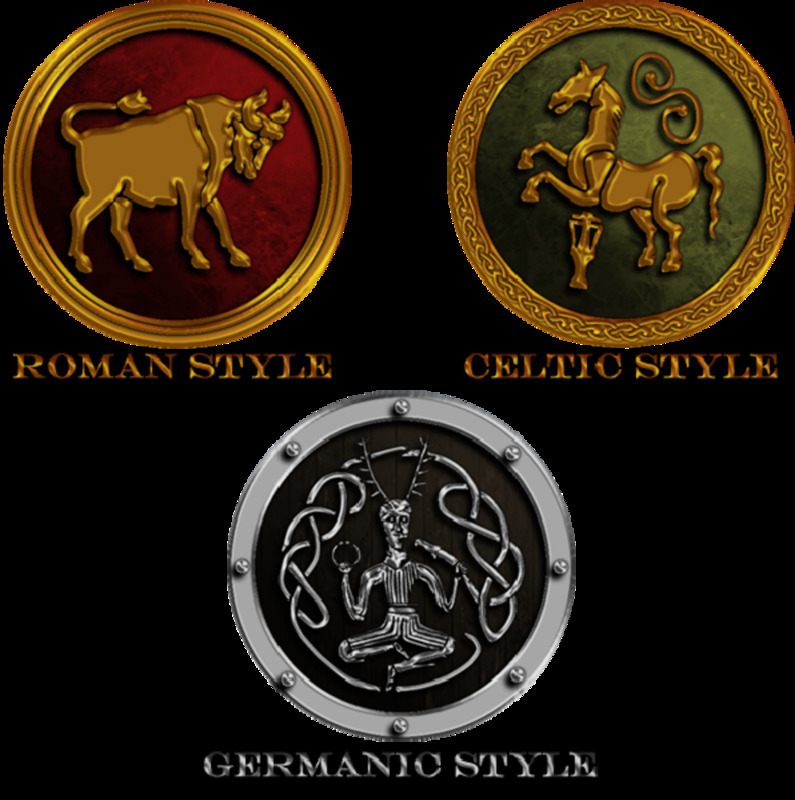 They hold an important place in Celtic civilisation, staying free of Roman rule and becoming the first Barbarians to form a nation that can still be recognised as such. The air of mystery around the Picts has been well earned. They were first mentioned in Roman accounts as Picti in AD 297, and in the context of raising their existence in Britain the Romans effectively admitted that they were a problem (although for how long before they were mentioned 'by name' is a mystery. The Romans did not like having to admit that a Barbarian tribe had bested them. Were the Picts native to that part of northern Britain, or were they relative newcomers (like the Romans)? What did they call themselves, and was the language they spoke related to those around them - the Britons and Scots? Did they adopt a form of matrilinear succession, and why? Did they paint their bodies or was that a (deliberate) Roman misconception of Pictish body art, and they were tattooed not painted. 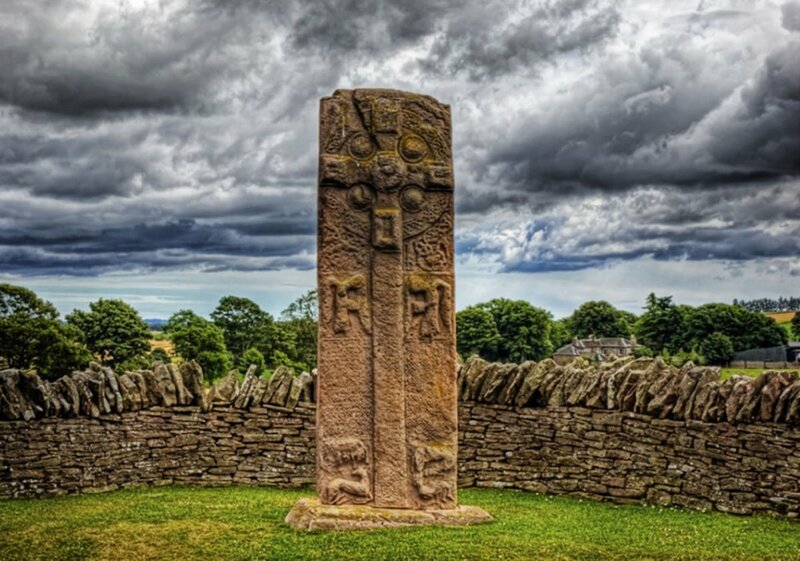 What did the Pictish symbols mean, and why were the symbol stones erected - were they Pagan or Christian? Lastly, maybe more importantly, why or how did the Picts as a nation vanish so completely from history - or did they - as a self-contained entity? We know now that Picti was the Romans' definition or reference - belittlement? - to a tribe that occupied the north-east quarter of Alba, the land we now call Scotland. They brought with them a culture of tattooing the male body, as did other Celts. The Romans' depiction of this tribe makes it seem they were unfamiliar with the culture they had already come across in Gaul. Np Latin description uses the word Pictum to describe Celts' tattooing. Various references to the meaning of Pict include a 4th Century historian Vegetius' record that the Britons' word pictas was a camouflaged scouting craft painted sea blue, or pictae. 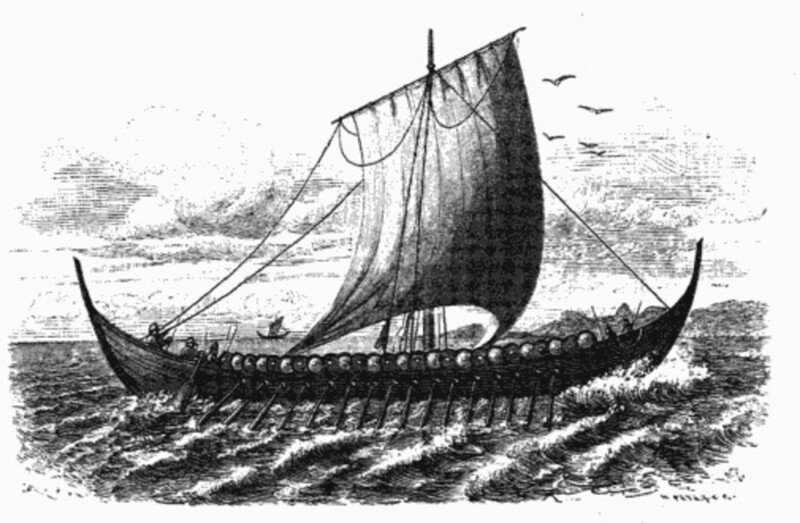 In the Brythonic (Welsh) tongue the boat was a peithas, its occupants peithi and the Picts were Peithwyr. Mediaeval Irish chroniclers referred to the boat as a picard, interchanging the word Picti or Pictones with piccardach or picars, meaning pirates or raiders. The Romans used the reference to describe the people, as in the savage tribes of the Picti and Scotti. 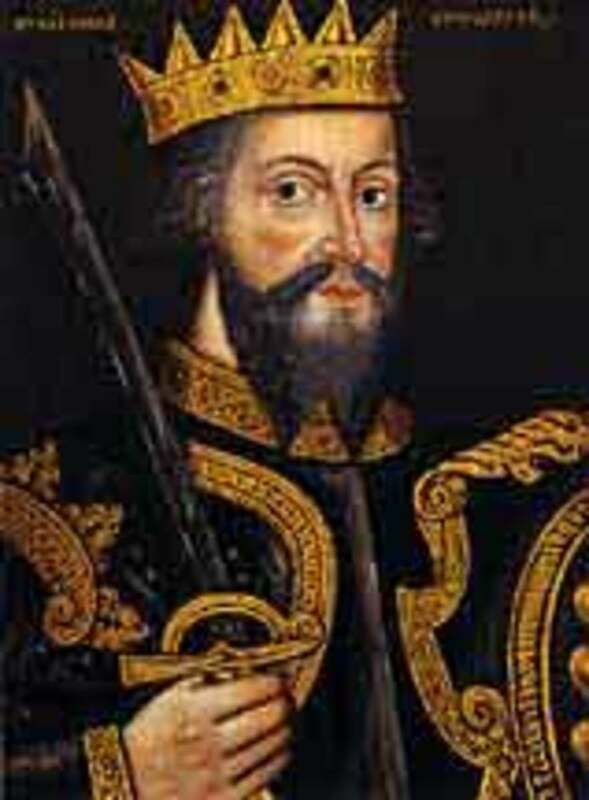 Pict in Old Norse became pettr, in Old English poehta and in Old Scots as pecht. These all read as variations on a proper name, not a slang form for painted or pirate. 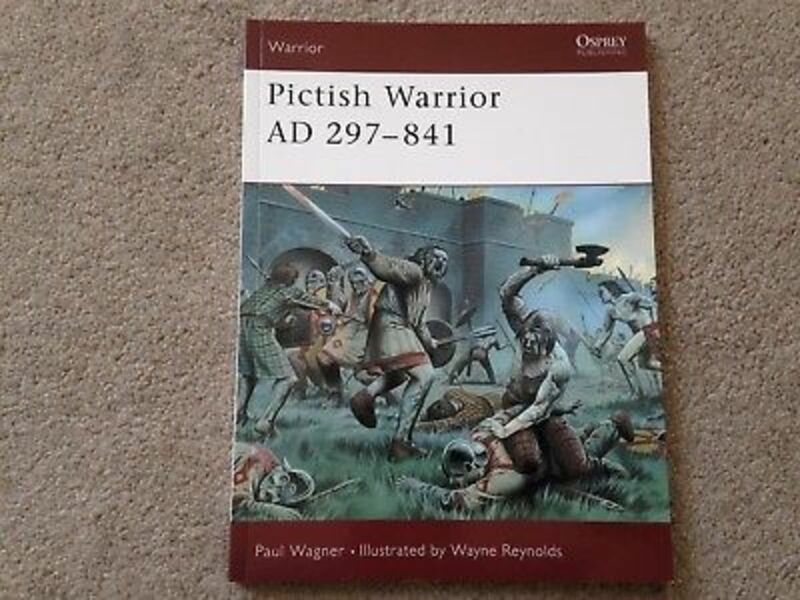 Picti was was a probable punning reference to body decoration mean as the belittling of a considerable threat to the stability of the Roman occupation in the north of Britannia major (or England, as it is now). A Roman misconception? Blue-painted warriors? Still, who were they? The most straightforward answer has to be they were inhabitants of far northern Britain between AD 297-858. This answer does not explain anything. It draws the eye to the first enigma the Picts presented, that they seemed to be absent from the first two hundred years of Roman relations with with the Northern Britons. In the initial centuries after Christ the territory we now call Scotland, north of the River Forth was occupied by two main culture groups. 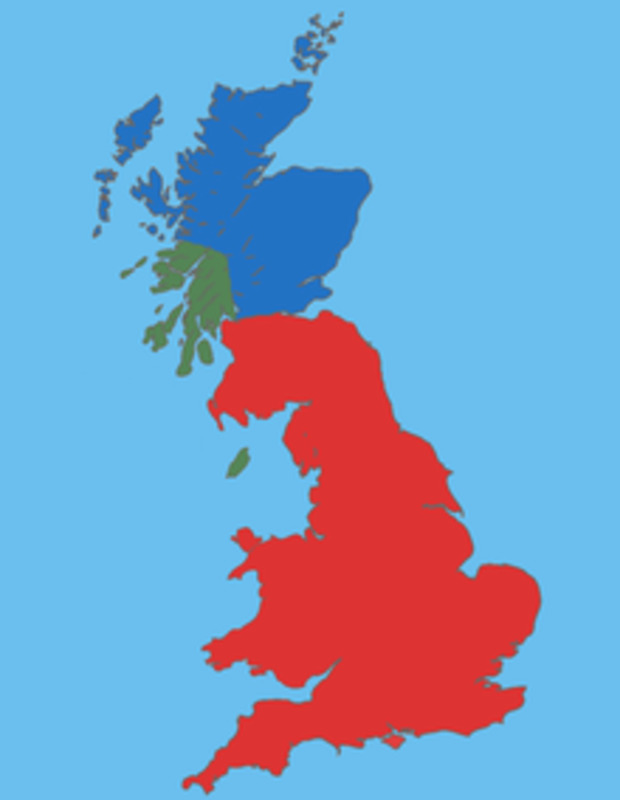 The Central Highlands was occupied by a confederacy of Britons or Brythonic peoples, mainly Caledonii as the Romans called them. 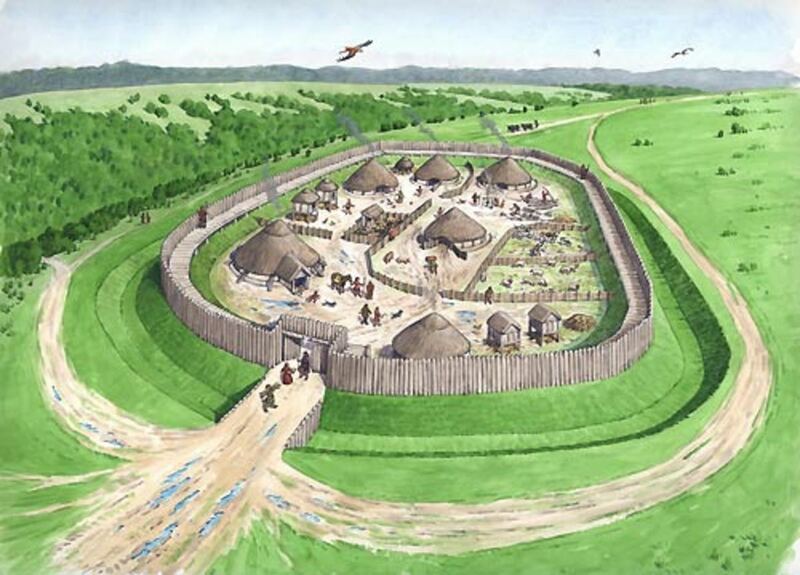 Their forebears went back eight hundred years BC, where timber-laced hill forts, iron founding and other forms of Celtic civilisation were first seen in that part of Britain. 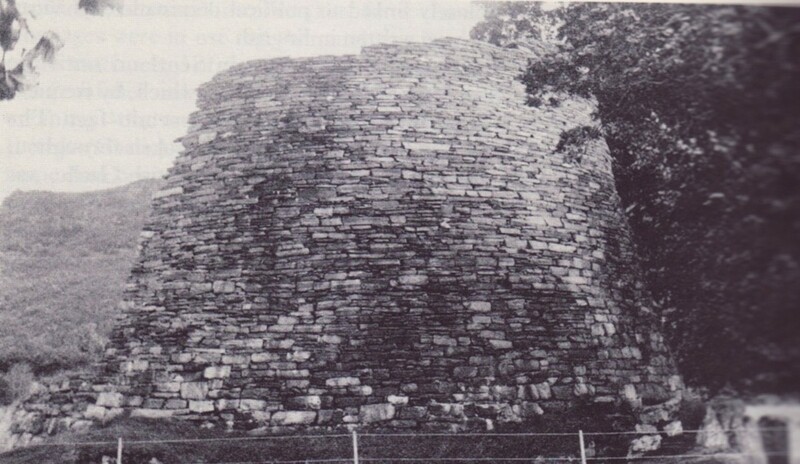 On Orkney, Shetland, the Inner and Outer Hebrides and the extreme north-west another tribal confederation constructed another type of fortification, a form of dry stone tower known as a broch. Five hundred of these were built between the 1st Century BC and 2nd Century AD. The hill forts have an older history than the brochs, although both were in use, a clear cultural and political gap effective between tribes. Pliny the Elder and Tacitus recorded that Roman relations with the Orkney islanders were cordial and the Orcadians petitioned to be Rome's allies in AD 43, later asking for Roman protection. The direct outcome of this was Agricola's invasion of Alba and the Battle of Mons Graupius in AD 84. After this battle Agricola's fleet sailed on to receive Orkney's formal submission as their part of the deal. The brochs yielded a variety of high status Roman artefacts and local copies of the Roman originals, that demonstrate the level of the Roman consolidation of their alliance as well as a well-defined trade network, unavailable without a high level of Roman support. 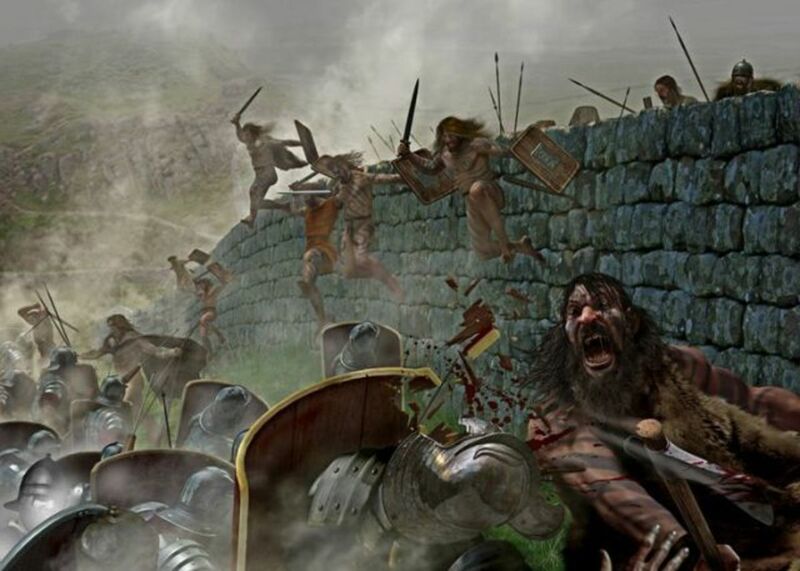 When Agricola withdrew Caledonian tribes fought a successful guerrilla campaign against the Romans that resulted in the construction of Hadrian's Wall, and soon after that the Antonine Wall across the narrowest part of Alba. 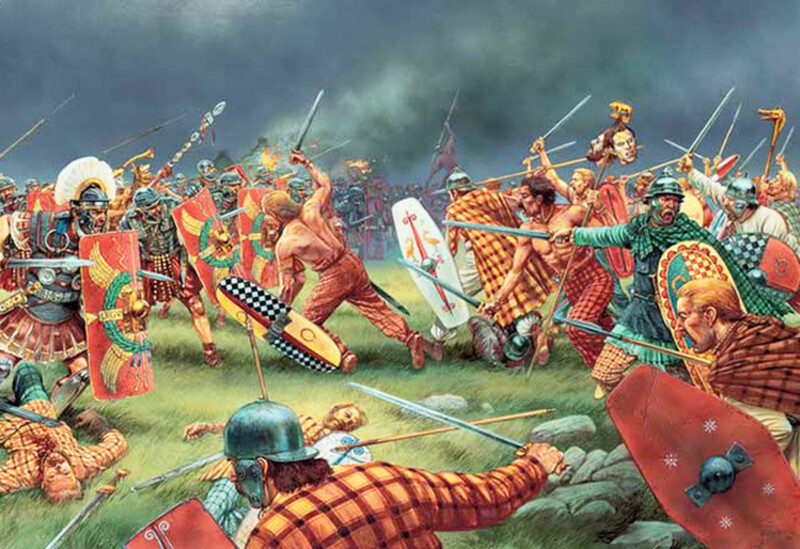 The next few hundred years witnessed growing Caledonian raiding until Emperor Septimus Severus came to Britain to deal with them. The emperor did not attempt the Caledonians into battle but erased their society by systematic destruction of the land, hanging tribal chieftains and destroying the hill forts by setting fire to the timber-laced walls and melting or vitrifying the supporting stone structure. Severus achieved a form of ethnic cleansing. There was almost a century of peace before the Picts surfaced and imposed their rule. Many explanations have been tendered for this turn of events. 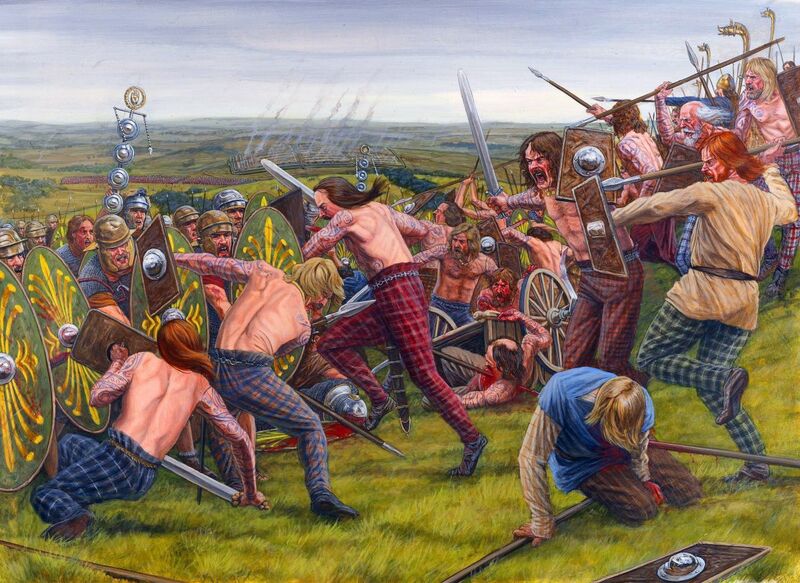 Some believe the Picts were descendants of the Caledonian Britons or the re-emergent remnants of pre-Celt tribes. Others see a sub-stratum of Gaelic place names and see the Picts as an earlier Goidelic-speaking Celtic society. Still further observers saw a link with the Pictones or Pictes, a sea-faring tribe from the Biscay shores who enabled Julius Caesar to overcome the Veneti, a Gaulish seafaring tribe from Amorica (Brittany). They put it that the Picts came to Britain as migrants such as also the Belgae, Aengle, Jutes and Saxons.from the east and the Scotti from the west. Some took up the story behind legends that the Picts were of Scythian (Black Sea area) origin, posing the theory that Pictish forefathers were Sarmatians in Roman service who imposed their own rule on the hapless, disorganised Caledonian survivors. Some consideration should be taken of the Gaelic St Columba being able to talk directly to the Strathclyde Britons, but needing interpreters to talk to the Picts. Bede mentioned in his writings that the Pictish tongue was separate from the British, Gaelic and Aenglish in the far north. In 1955 Kenneth Jackson put forward that Pictish was a Brythonic tongue, with similarities found in Gaulish but not in British. 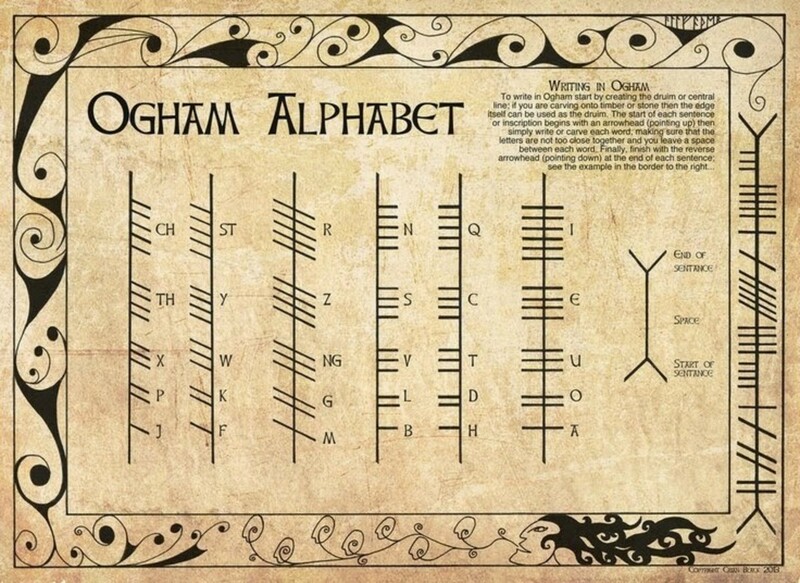 He put forward also that there were pre-Indo-European traces of the tongue seen in indecipherable Ogham inscriptions. Little advance has been made on the non-Celtic theory. 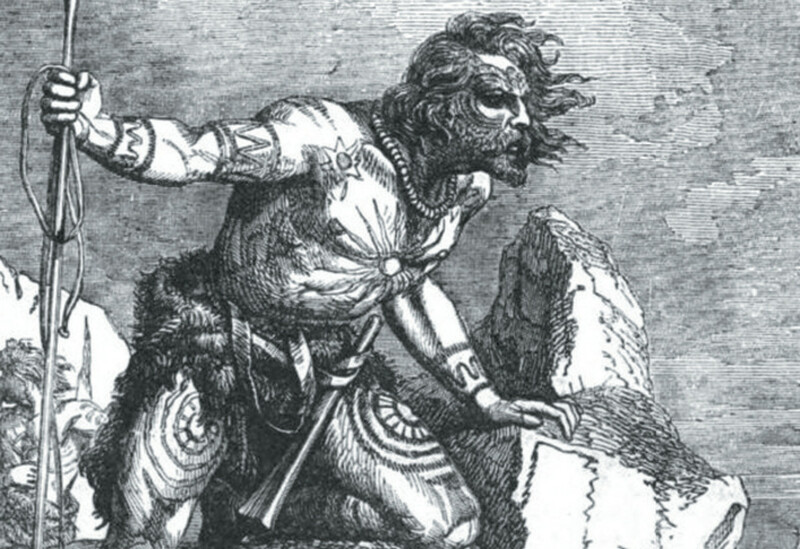 A number of diversions have confused scholars such as that Irish chroniclers refer to both non-Gaelic inhabitants of early Ireland and the Picts as Cruithni. Some used this to under-pin the argument that the Picts were aboriginal, whereas in reality Cruithni is merely the Goidelic way of expressing Pritani or Briton (one of the Celtic references to Britain was Pridain). In turn this has been used to identify the Picts as Caledonian. Looking closer, we note the Irish chroniclers used the term Cruithni to refer to the Northern Irish, and used Picti for the North Britons. 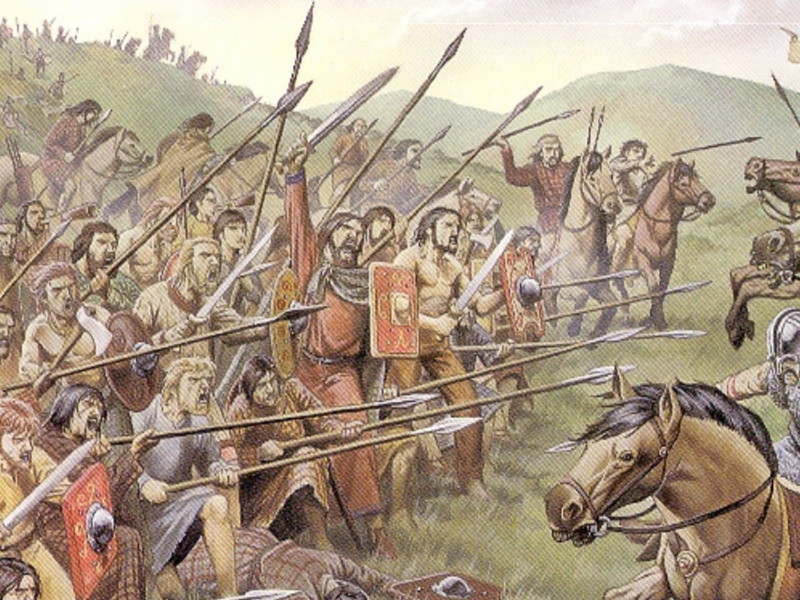 The Cruithni in Ireland were beaten by the Gaels in the Battle of Brae Slieve in AD 627. They are not referred to again until AD 774 whilst Cruithni is not used in reference to the Picts until AD 865, by which time the Picts had lost their independent identity. Confusion has arisen to some extent because the Scotti themselves were Cruithni and because the legendary father of the Picts bore the personal name Cruithne. The earliest identifiable confirmation of Pictish culture comes from the broch dwellers of the North. 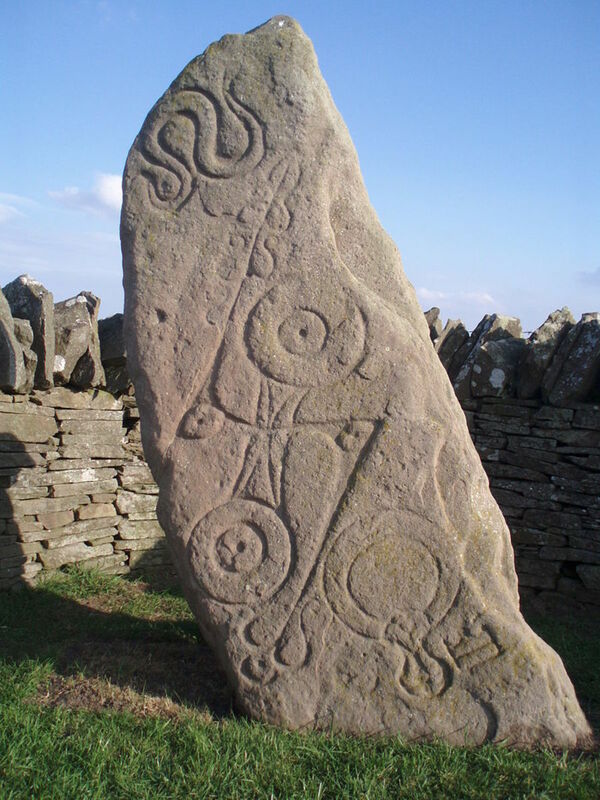 Just as the earliest Pictish symbol stones date back to the 6th or 7th Century AD at Pool in Orkney a 6th Century Pictish structure re-used stones that already bore Pictish symbols. Outside the broch at Carn Liath in Caithness a locally made silver copy of a Roman crossbow brooch dated before the 5th Century AD was found, decorated with Pictish symbols. Written annals also prefer the brochs as being the cradle of the Picts. As with the Norsemen after them, the broch dwellers saw Orkney as the ideal staging post for piracy, and during the period of Pictish raiding in the 4th Century AD the Roman fleet targeted the Orkneys and Shetland for reprisals, not the southern areas closer to Hadrian's Wall. 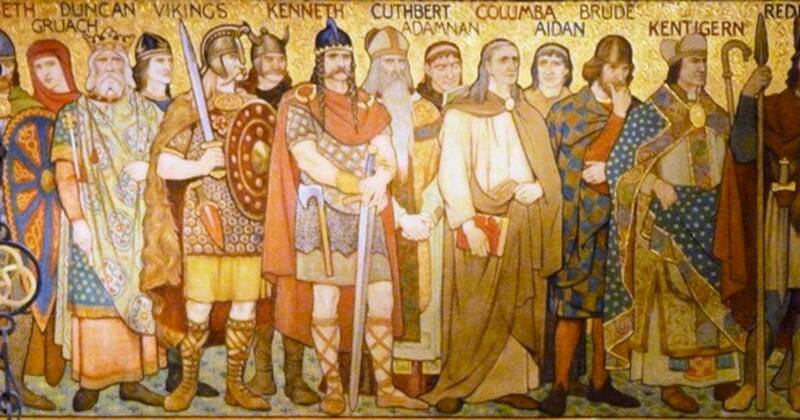 Chroniclers such as Nennius, Bede and Gildas agree that Orkney was the first hub of Pictish power. Pictish place name pit is broadly found in the broch lands, in spite of the later obliteration of native place names by the Norse settlers. The Later Norse scribes named Orkney Terra Petorum or Pictland. The channel between Orkney and Caithness on the mainland was Pettaland fjord or Pictland Firth (Pentland Firth). Oral tradition also links the brochs with the Picts, known as Picts' dwellings in Scotland. 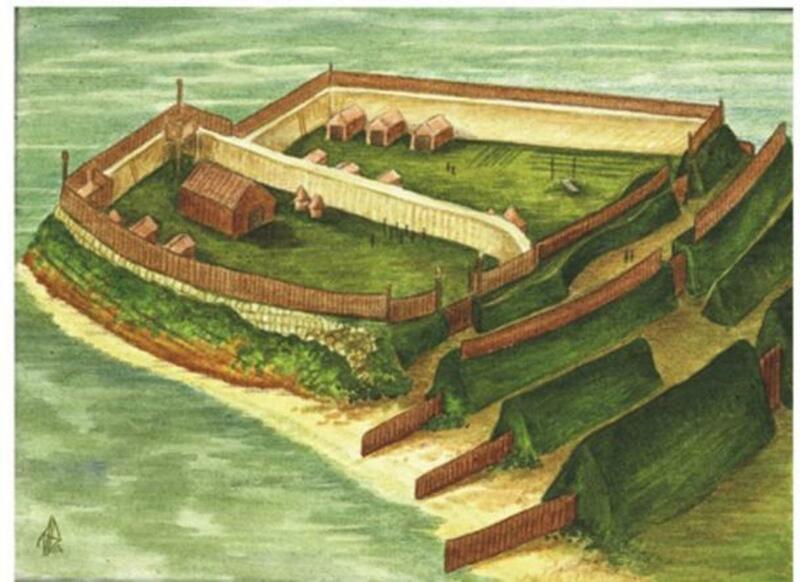 After Mons Graupius brochs appeared around the Firth of Forth, thus witnessing the expansion south by the broch dwellers - maybe by Roman invitation. In the century after Severus' campaign a major political upheaval is witnessed by archaeological finds in the north-east and in the Highlands with wealthy rulers emerging, who could afford richly decorated metalwork and high status Roman wares. If the new elite were the broch dwellers and future Picts we still have to ask, "Who were they?" The broch dwellers might have been dwellers from ancient times, Britons related to the Caledonians, an early influx of Celts or immigrant Gaulish refugees from Roman rule. trying to identify the influence of one tribe of Celts on another is almost impossible. Whether the brochs were paid for by indigenous warlords or inxoming raiders, their construction is very likely derived from a common native building tradition. we can presume that the majority of Picts were descendants of the ancient inhabitants of the region, and that Caledonian culture would have contributed greatly to Pictish society, even in the wake of a possible cultural-political upheaval. The overall identity of early mediaeval societies was largely determined by the culture of their warrior elite. 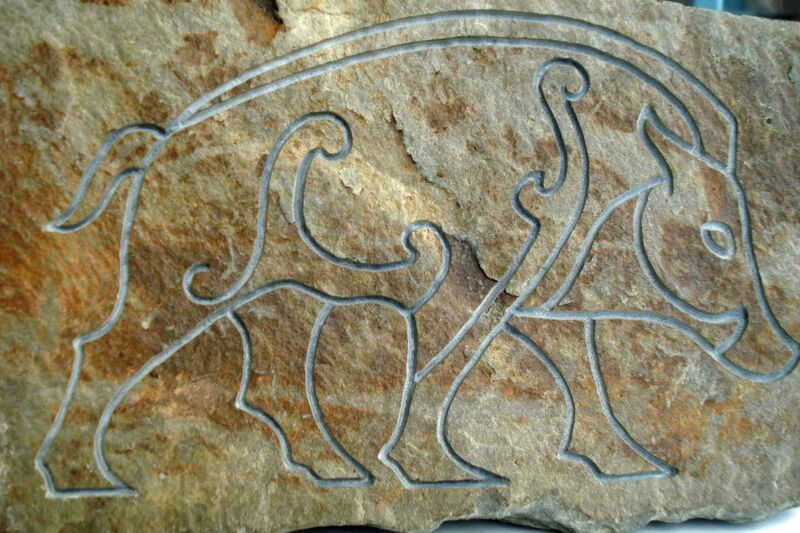 It is probably more important to examine what the Picts themselves believed of their origins. So what was the origin of the Picts? The seven sub-kingdoms were subsequently identified as: Fib is Fife, Cait Caithness (referred to by later Norsemen as Katanaes, Fotlaig is Atfodla (Atholl) and Fortrenn is the area around Mentieth and Strathearn. 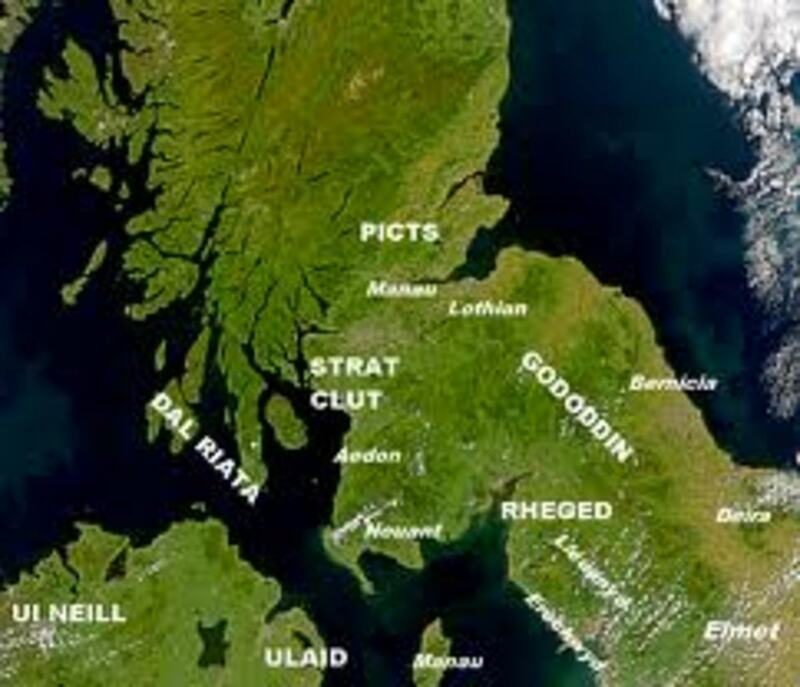 Cirig can be traced to Maghcircin, the Plains of Circin, now Mearns. Ce lives on in Bennachie in Aberdeenshire, leaving Fidach as being local to the Moray Firth. 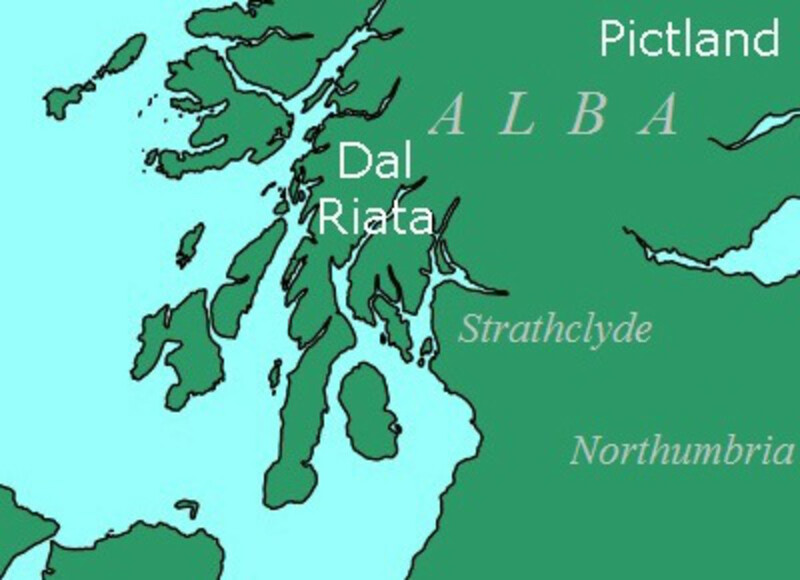 These areas closely match those occupied historically by the Picts (the region that Macbeth ruled over after Malcolm III asserted his authority in the 11th Century in the traditionally Scots' western region), who were not found in the west such as in Argyllshire or the west coast south of Skye, the Pictih colony closest to Iona. The Pictish foundation myth could be merely a form of propaganda to unite the warring tribes, or to legitimise a dynasty - maybe even to confirm Scots' sovereignty in Argyll. Celtic oral tradition is a respected source. Even such obvious legend should not be easily shrugged aside as make-believe, especially when contemporary sources give the same or similar story. "So the Picts crossed into Britain and began to settle in the north of the island, since the Britons were in possession of the south. Having no women with them these Picts asked wives of the Irish, who consented on condition that when any dispute arose, they should choose a king from the female royal line rather than from the male. This custom continues among the Picts to this day". .Some believe this story was concocted by the Scots to legitimise their takeover of the Pictish throne, although this is unlikely because when Bede wrote his account the Scots had been overrun by the Picts. 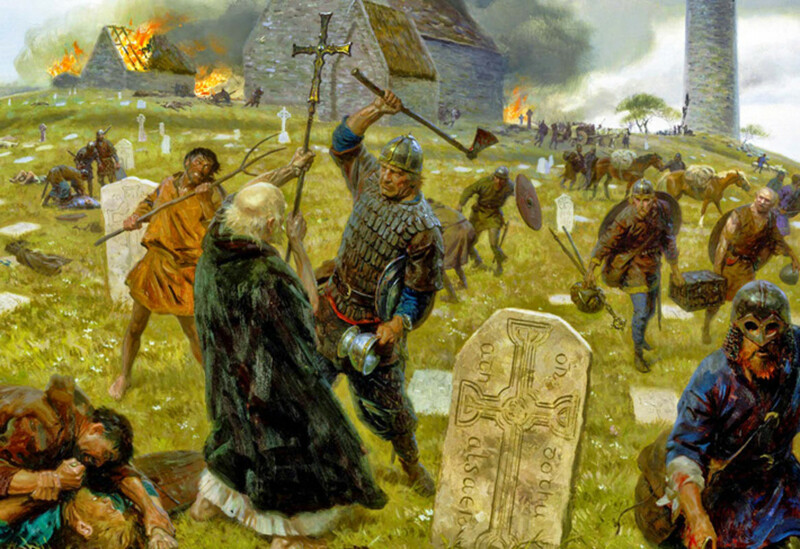 Remember also that the West Norse (Norwegians) who had taken over Orkney, Man and the Western Isles did so without bringing women of their own and were obliged to take wives from the indigenous populations, whilst the remnants of the army of Magnus Maximus who settled in Amorica in the 4th Century had no women and slew the menfolk to take their women. They cut out the women's tongues "lest the pure British speech be corrupted". Their women having been stolen". Other Welsh and Irish versions are more informative. In the final analysis the Picts are shown as having migrated from beyond Britain's shores and settling in a remote corner of these islands. They were obliged to seek wives from the Gaels; for them Cruithne swore an oath, "by the heaven and the earth, the sun and the moon, the sea and the land, the dew and the elements, that of women should be the royal succession among them forever". They were implacable foes of the indigenous Britons that they eventually overcame. Whatever truth there is in the tale, the core belief was important. 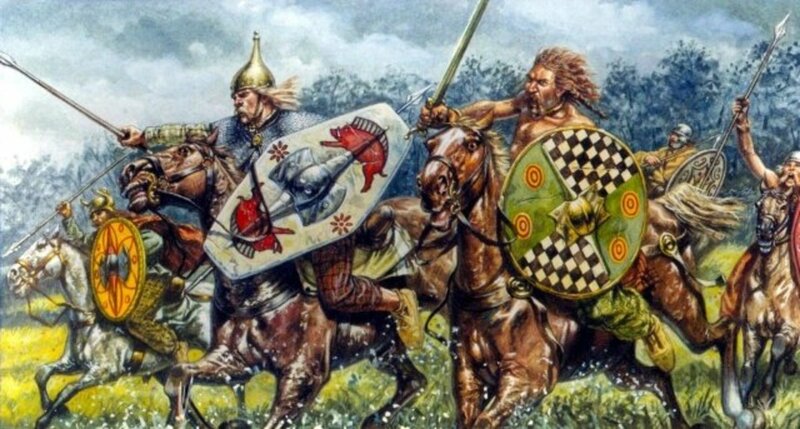 A community held myth of this nature gave the Picts a 'national identity in the same way as the Normans who had started as outsiders in Frankish territory and acquired new customs - just as their descendants did in England, Wales, Scotland and eventually also Ireland. It helped weld them into a strong, united political entity. I bought my copy of this book from Waterstones University Bookshop (formerly Dillons) near University College London (UCL) off Tottenham Court Road, London WC1. Despite the bloodthirsty cover illustration, the (paperback) book is very informative, well illustrated with copious photographs, maps, drawings and diagrams that depict a culture that disappeared from history in the mid-9th Century. The Picts were a warlike tribe that originated far away from these shores and came here via western Europe in currachs, or small skin covered boats equipped with sails (see centre pages). Well worth the £11.99 I spent in the well-stocked History Section at Waterstones. Hello Lawrence, a legitimate thought. Not just the Vandals found their way south across Europe from Scandinavia. The Teutones, the Suevi, Lombardi and Burgundians ended up in warmer climes. The Teutons - we associate with Germany - the Suevi, or Swabians, Lombards and Burgundians became better known away from their homelands than the overcrowded Jutland peninsula that we associate with just the Jutes and Angles. The Goths migrated furthest, to between the Black Sea and Caspian Sea where they were chased west by the Huns. 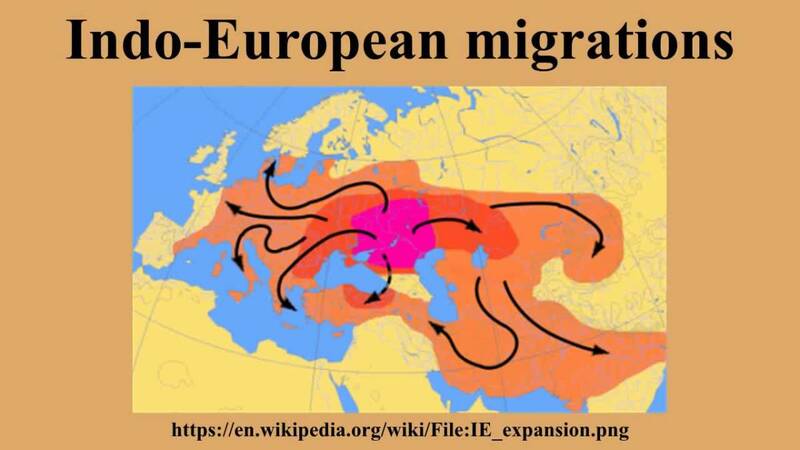 The two groups settled eventually in northern Italy (Ostrogoths) and the Iberian peninsula (Visigoths). The Vandals ended up in North Africa in the area once occupied by the Carthaginians where they were attacked by the Romans, who wanted them at arm's length. The Burgundians came from what was 'Borgundarholm', now Bornholm, and fared better. Burgundy was a dukedom for a long time before being absorbed into France. They're more famous for wine than fighting, but they've kept their name. We're a fairly disparate bunch of migrants in Britain, the only 'natives' having been chased to the corners of the British Isles by - in turn - the Celts, Romans, Jutes, Angles, Saxons, Norsemen, Danes and Normans (Norse-Danish by another name). We're even more disparate now, what with Afro-Caribbeans, Asians, Eastern Europeans and a smattering of 'refugees' who seem bent on taking over for Isis. Ah well, at least the Dog & Duck's still there... oh no, it's a bring and buy market and cafe now... Maybe The Bell then? 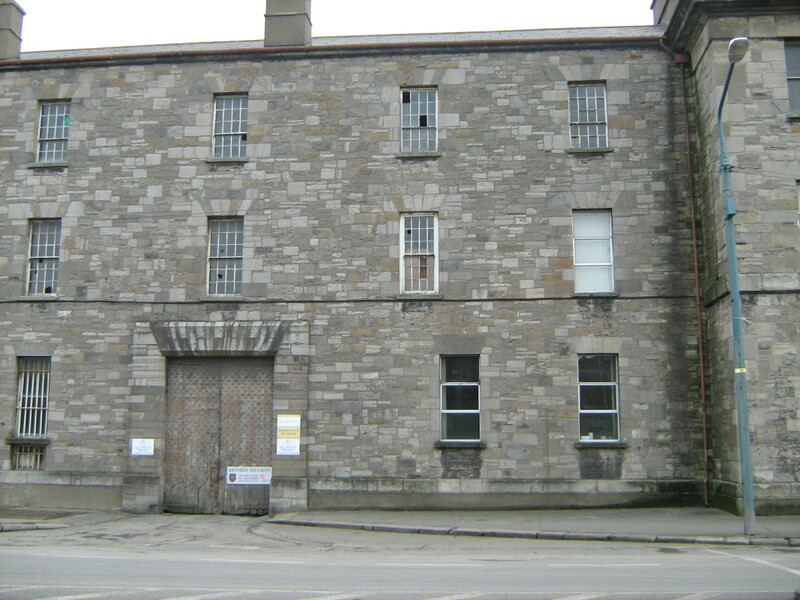 That's been converted into flats! The Green Man? Owned by Russians? At least we can still get a drink. What'll it be, Lawrence, lager and vodka? . .
From what I understand, the oldest artifacts we have from the Picts date back to just before they were mentioned by the Romans. It's interesting to note that at that time a whole slew of 'nations' were emerging from what the Romans called the 'sea of nations' in Central Asia. Could it be that the Picts were another nation that emerged just before then and made their way across Northern Europe? (The Vandals smashed their way into Spain and North Africa about then, from Scandinavia! Just a thought. Take it a bit at a time Bill. It's there to stay and won't go away (how about that, he's a poet and knows it). As long as you get something from it, that's the main thing. Who knows, some of your ancestors might be in here somewhere. There is always so much information packed into your articles; I fear I can't do them justice at time, time being a word I struggle with of late. Perhaps things will slow down for me in the near future and I can totally enjoy your history lessons. Glad you found this illuminating Mary. I have not heard of the Picts before so this is new information. Thank you.